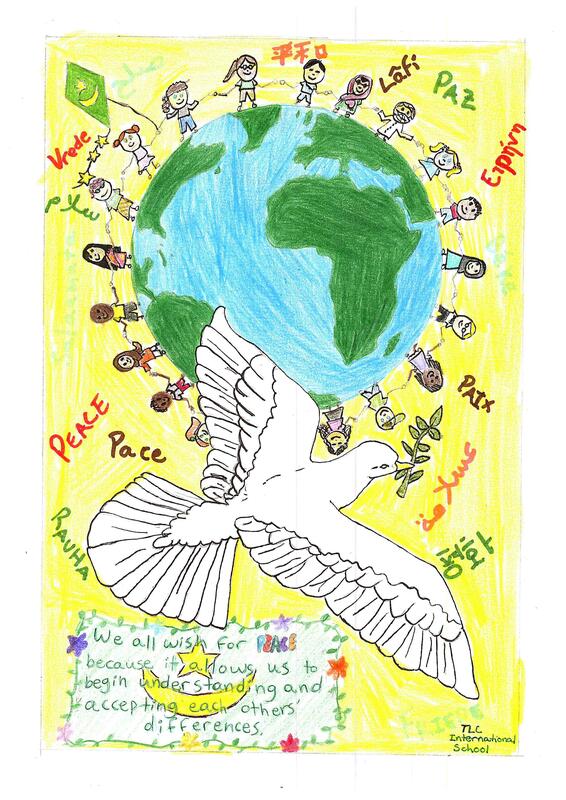 Here we have the winning drawing from TLC International School, Mauritania. Thank you to Bethany age 15 who is a freshman at TLC for the creation of this drawing. This school held a competition and then voted for the winning drawing to represent Mauritania. Well done to everyone involved. We all wish for Peace because it allows us to begin understanding and accepting each others differences. Thanks to Theresa Eno and all staff for helping coordinate the project for this Country.The mission of TLC International School is to provide a high quality educational program that maximizes students’ intellectual and personal potential. The TLC community of staff, parents, and students has the joint aim of developing lifelong learners with an appreciation of diverse cultures. A great place to grow and learn!